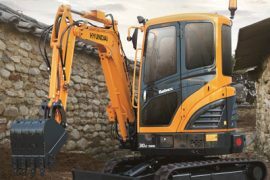 Bobcat Company has enhanced its industry-leading compact excavators with the all-new, next generation R-Series excavators. Featuring a bold, distinct design, R-Series excavators will help boost operator productivity and comfort, as well as machine uptime protection. 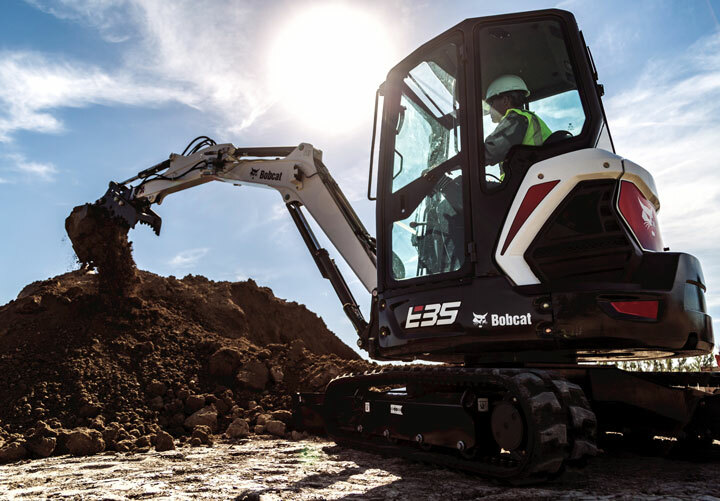 The first R-Series excavators to launch will include the Bobcat E32 and E35 in the popular 3- to 4-ton size class. Additional R-Series excavators from Bobcat will be introduced at a later date. 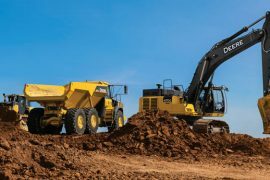 Bobcat Company has more than three decades of experience manufacturing excavators and incorporated customer feedback in the latest generation to make the excavators even better than the prior M-Series. Bobcat excavators are used in a variety of market segments, including construction, landscaping, utilities, infrastructure, rental and agriculture, to complete tasks where larger equipment can’t fit or work that was previously done by hand. R-Series excavator operators can dig with greater confidence over the side of the machine with a standard dual-flange track roller system. The new dual-flange rollers extend the excavator’s undercarriage structure closer to the track’s edge and provide up to a 15 percent increase in over-the-side capacity and more stability. This improves over-the-side digging performance and slewing ability to help boost operator productivity. 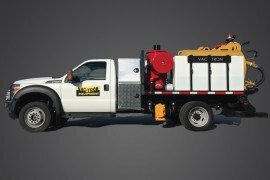 Operators will also notice an improved ride quality with the new dual-flange roller and track system, allowing them to comfortably move around a bumpy jobsite. A new, integrated rear counterweight design lowers the excavator’s center of gravity to further enhance machine stability. The design maintains wide-open access to the engine and daily maintenance checks. Operators have panoramic access to the engine and routine maintenance components for superior service and to help minimize machine downtime. Operators can see and feel a difference with a new high-quality finish. The new R-Series excavators feature strengthened hinges and latches, and rigid, aligned excavator panels to reduce vibration in the cab, especially when working on rough surfaces. These enhancements increase operator comfort for a more enjoyable work day. Along with having one of the largest cab openings in the industry, Bobcat has redesigned its R-Series excavator cab for an unbeatable operator experience. The tall, wide widows have 15 percent more surface area, which includes an improved top window and narrower side pillars for visibility that’s never been better. Operators can get a better view of the excavator’s workgroup and surrounding areas with expanded visibility from the cab. A new sun visor over the top window shields operator’s eyes from the sun on bright days. There is 29 percent more floor space in R-Series compact excavators for the operator’s feet and legs than previous models, and redesigned floor pedals conveniently fold away, maximizing floor space even more. The seat and cab are also wider, allowing for plenty of elbow room all day long. Operators will appreciate the new automatic heat and air conditioning systems for complete control over the cab climate. When it’s cold outside, an optional heated seat takes operator comfort to another level. A new tubular-frame reinforced cab door comes standard, making R-Series excavators even stronger and able to withstand rough conditions of the jobsite. The tubular frame holds a tighter seal, helping keep out dirt and dust for an enhanced operating experience. The new R-Series excavators feature a standard, easy to reach control pattern selector. This feature is conveniently located right below the operator’s seat, allowing operators to quickly switch from ISO controls to standard controls. With the repositioned second auxiliary selector switch, operators can toggle between the second auxiliary and the boom offset without removing their hand from the left joystick. R-Series excavators allow operators to easily level the machine with increased downward angles for a greater range of motion. The excavator blades have been increased by as much as 33 percent to a 12-degree downward angle. Note: blade down angle degrees will vary by model. This feature allows operators to get the perfect angle and stabilize the machine when digging on an uneven surface or trenching at an angle. A boom swing greaseless pin joint is another new feature operators can appreciate on the new R-Series excavators. It eliminates an important greasing item, allowing operators to save maintenance time and increase work time. 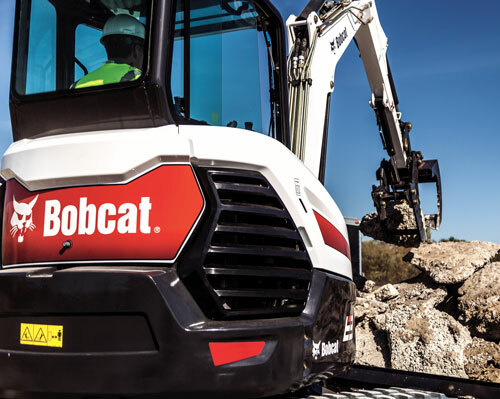 Using four-point machine tie-down locations, operators will find it is easier than ever to connect their Bobcat excavator to a trailer and ensure proper transportation procedures are followed. 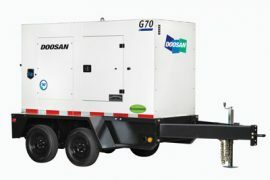 The tie-down locations are easily visible and accessible for simple trailer connections and faster trips from jobsite to jobsite. Maximum reach at ground level: 16 ft, 4 in. Maximum reach at ground level: 17 ft, 2 in. For more articles about compact excavators, click here.